Jersey Day Is The Best Day! ...and signifies that a child is an advanced racer. Your donation helps offset the cost of a Star Track uniform. Jersey day signifies that a young track cyclist has completed three semesters with the Star Track program and is now an advanced racer! Star Track uniforms are high-quality race-ready gear made by Hincapie Sportswear. Your contribution offsets the approximate $75 cost helping Star Track to get more kids on track bikes, and donations or any size—smaller or larger—are warmly appreciated. 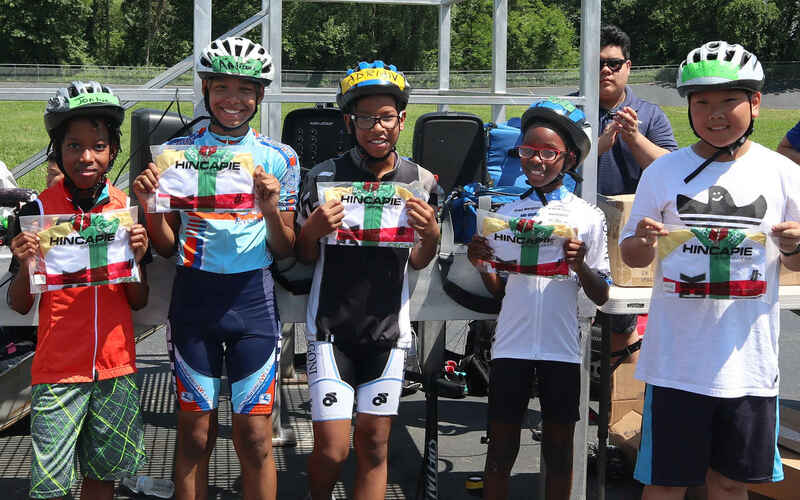 About Star Track: Star Track is a youth outreach program founded in 2004 to teach New York City kids the fundamentals of track cycling at Kissena Velodrome in Queens. Our goal is to empower and engage children — many from underserved communities — enhance their physical and social development, and give them a sense of pride and accomplishment through regular athletic activity.